KAREX (5247) forming triangle pattern. 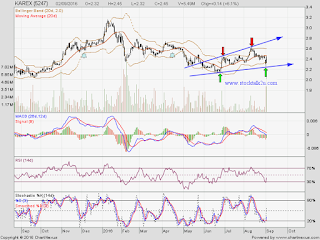 It manage retest support level & rebound. Subsequent resistance @ RM2.60 level. 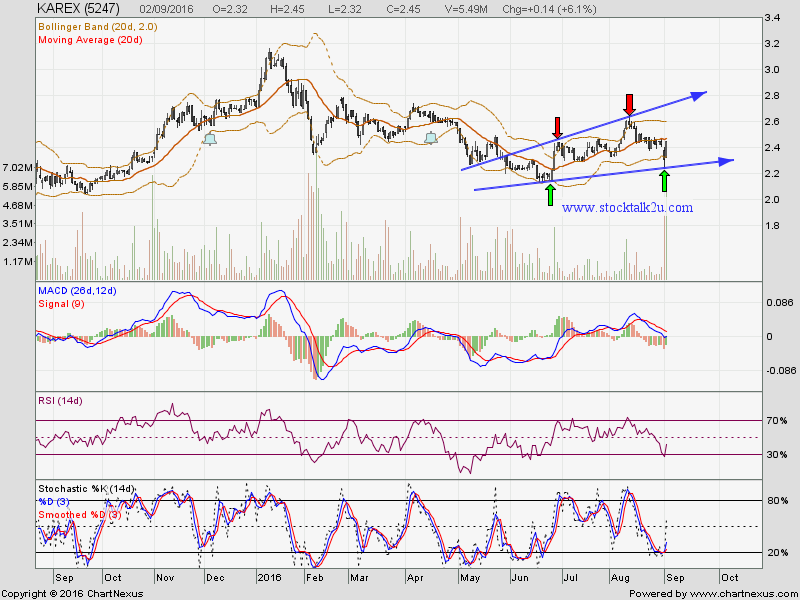 Immediate support @ RM2.30 level. Subsequent support @ triangle support level.